Earl Park All rights reserved. 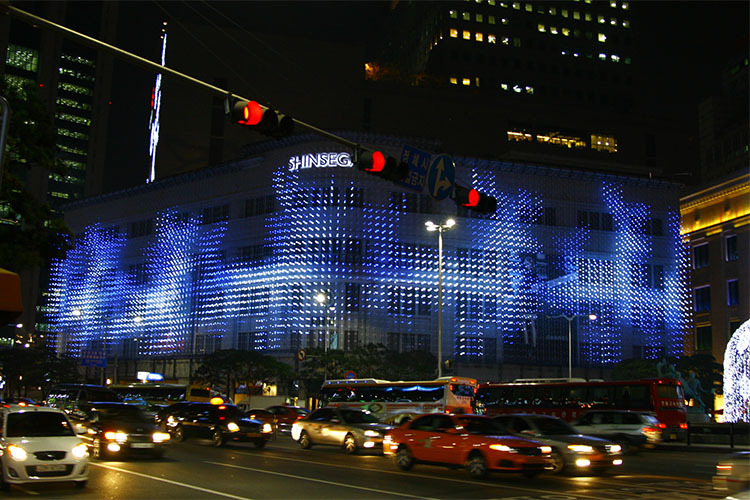 Noble Mono, 3-layered LED Net-Matrix, installed on the facade of Shinsegae Main Department Store in Seoul,is a 3-layered media facade artwork composed of more than 10’000 LEDs. 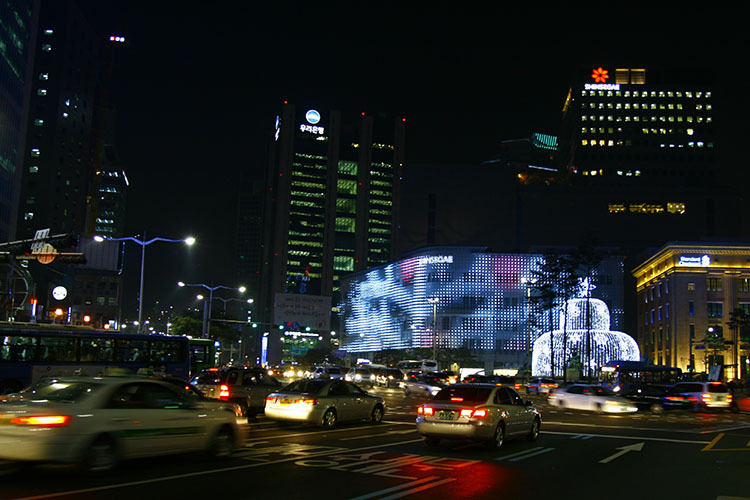 It creates elegant luxury impresssion by using refined monotone color differentiating itself from conventional showy building decorations. 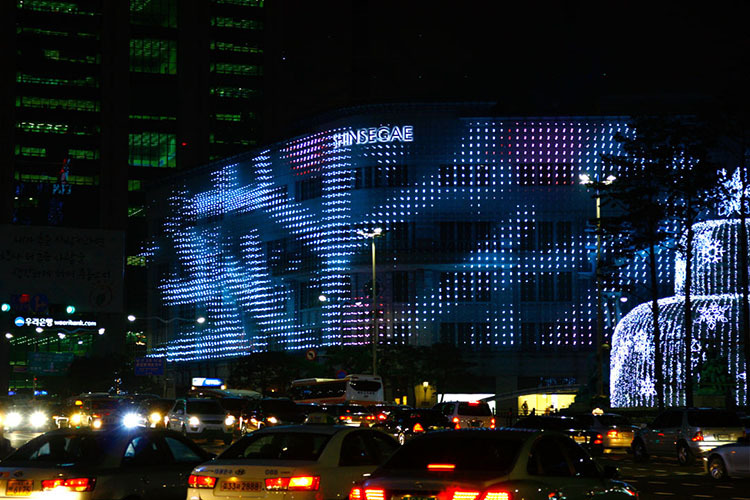 The images about 3 main themes – 80th Anniversary of Shinsegae, Christmas, New Year’s Day – are rendered in totally unconventional and artistic way and have a firm three dimensional look through making the best use of the 3-layered hardware.